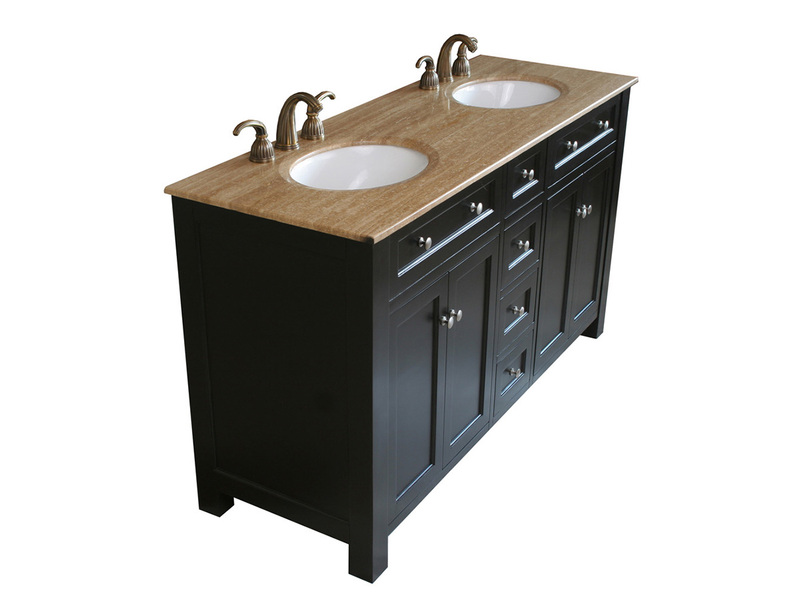 The Lamia Double Vanity has a great contemporary look with its clean lines, simple inset panels, and nickel finish hardware. 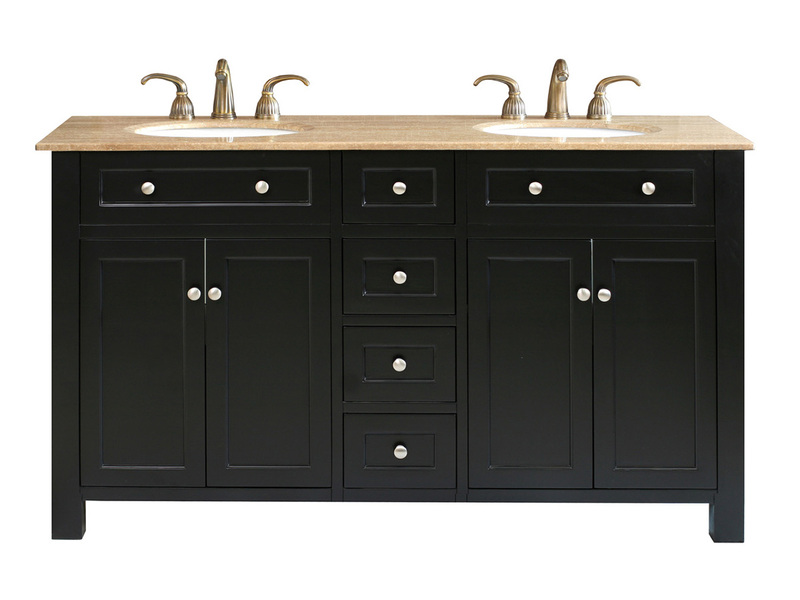 The beautiful Travertine top adds a touch of warmth to the otherwise sleek, black vanity. 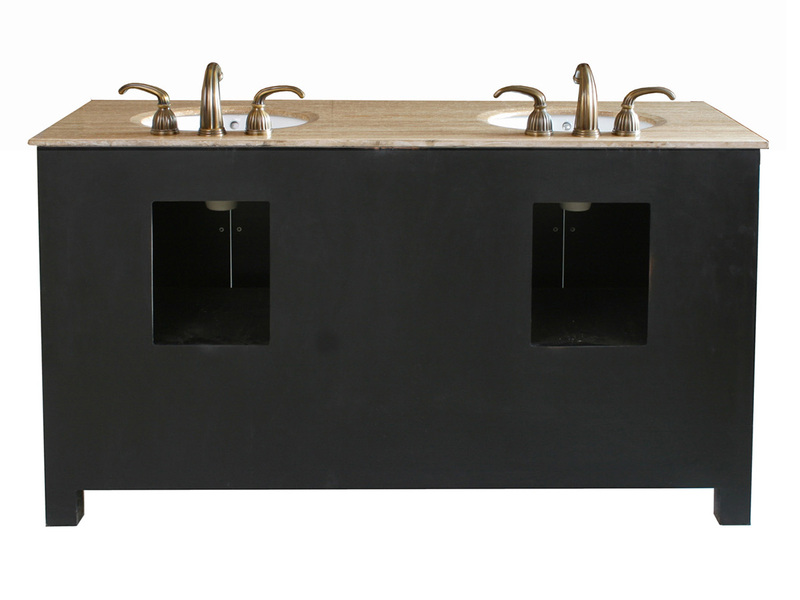 The black finish is water proof, protecting the vanity's wood from the effects of bathroom humidity. 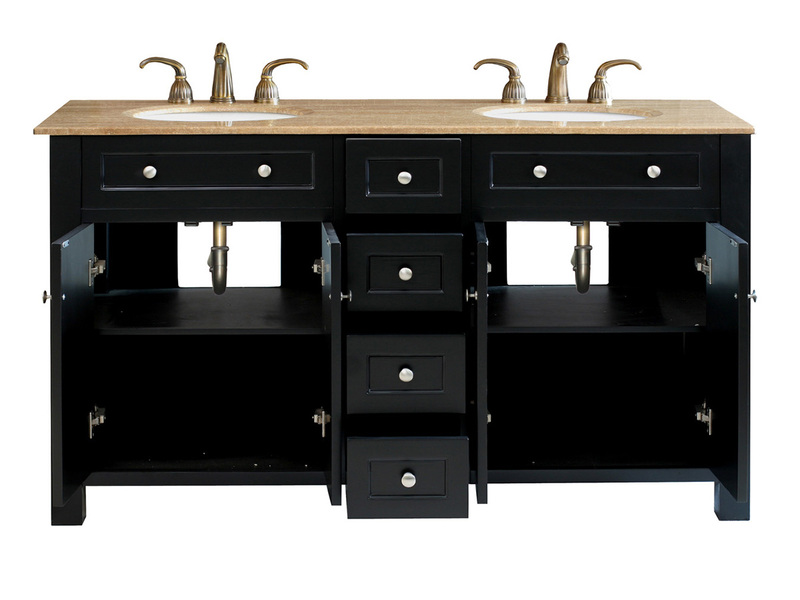 The vanity has four drawers and two shelved cabinets, providing plenty of ways to store and organize your bathroom items. 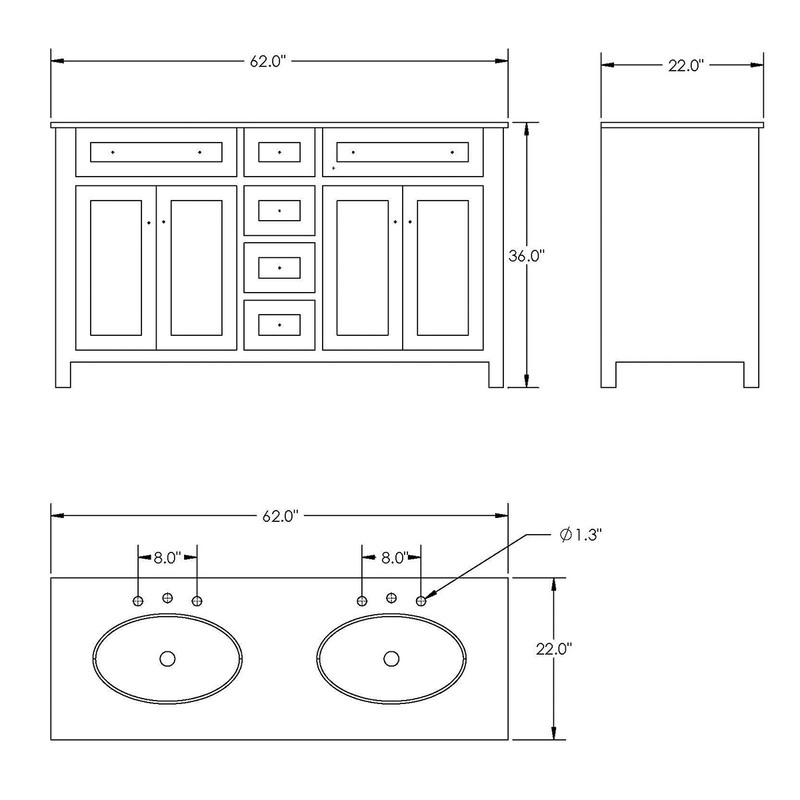 The drawers feature full extension ball bearing glides, while the doors feature soft closing hinges; both of which provide excellent motion control. 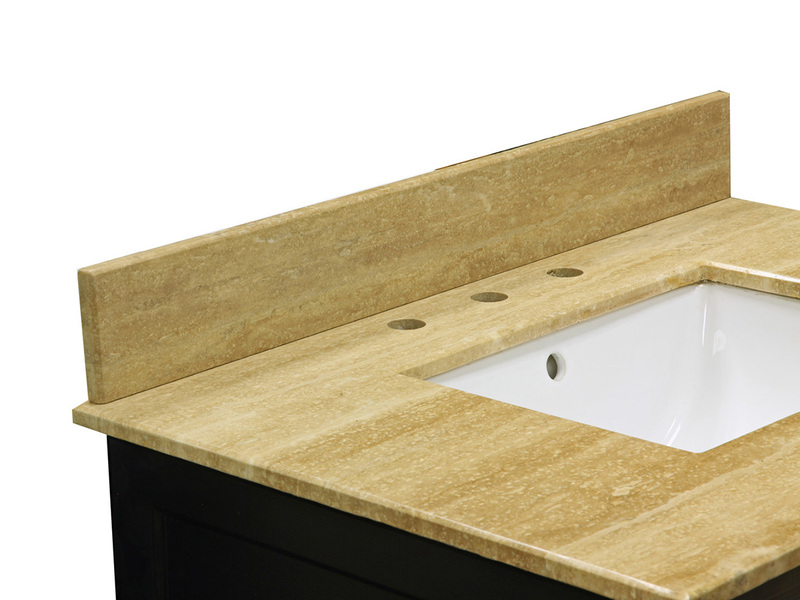 An optional Travertine backsplash is available for this vanity through the drop down menu.